Feel free to share any distinctions you learned while listening to this or if you had questions unanswered, now is the time to ask them with your comment below. Great work. I’ve been listening to and reading your advice for some months now, and have started to take it to heart. I’ve tracked some of it, and I can definitely see a marked improvement of traffic to my site. Although my site is ugly as sin, you have helped me attract and convert traffic. Thanks. Now I have to get to work on the design and navigation! I’m relatively new to EZine but have seen that the few articles I posted are showing up well and are sending some traffic and links to the site. So far, so good. Now to crack the whip on the copywriters and get some more articles out there. I am really boosted up. Yesterday I submitted new article, but now I will write 10 or more article and then submit. I’ve enjoyed writing for as long as I can remember. Submitting on Ezine is just a dream. It’s easy & straight forward. I think I’d rate them as the best. My articles also show up very well, even on Google. I’m new with Ezine. I will get busy writing more articles and bump up my membership. Thanks for the advice. I’m new to ezine, just submitted my first article. The advice in this post was excellent. 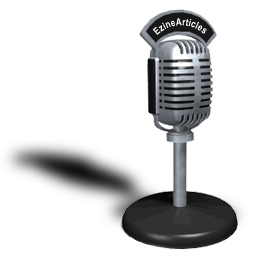 I appreciate that ezine is committed to quality in what they accept and willing to help us newbies get there. I’m looking forward to becoming a Platinum member with you guys! Thanks for giving us such great material to listen to while we get ramped up here. I’m excited to see what I can do to pull together some quality articles.